It is no secret that things are a-changin’. The very way we relate, interact and engage in our communities has drastically shifted over the last 20 years as the internet has evolved to provide new opportunities for organizing and communicating. But what does this mean for business? I have found that even though we intellectually know that things are changing, old habits die hard. What do you think of when I say the word marketing? Do you see an ad? Maybe on a billboard or in a newspaper. Or maybe you see a commercial. Remember Big Red chewing gum? “Kiss a little longer, stay close a little longer…..Longer with Big Red!” The jingle comes back to me instantly. 1. Because these perceptions have been ingrained since childhood. Children are susceptible to interruption marketing; we all were! And it was during our childhood where our understanding of what marketing is and how it is done was formed. When you ask a group of people to think of a marketing campaign that made a lasting impression they are almost always citing old-school campaigns (this might not be true for millennials but I haven’t tested that out on them yet). 2. Because you don’t want to offend anyone. Appealing to the masses is the MO of the old-school marketing techniques. Here’s a newsflash for you: if your marketing is too subdued and non-offensive, no one will notice it. I have a colleague who named his business WTF Marketing – that’s pretty catchy. Does it offend some? Probably. Does it get noticed and resonate with others? Definitely. 3. Because you trust the old methods will work. 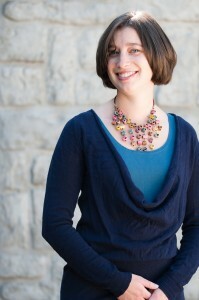 There’s a perceived risk in jumping ship from the tried and true marketing practices. If something ain’t broke, why fix it? Right? Wrong! Believe it or not there’s more inherent risk in maintaining the old status quo then embracing these new tactics and strategies. 4. Because you believe marketing messages must convey an agenda. There’s often this desire to always be promoting your own agenda. That any time you communicate you need to promote a specific service or product or event. This belief that every communication must be self-serving is another thing of the past. Today’s consumers are ignoring most in-your-face advertising and taking note of things that offer value to them. 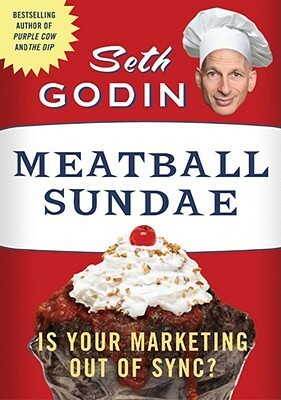 Earlier this month in EntrepreNerds, we discussed Meatball Sundae: Is your Marketing Out of Sync by Seth Godin. He outlines how the playing field for marketing has changed from the old-school tactics to this new marketing age. What I found quite intriguing was his insistence that your organizational structure must align with new marketing in order to succeed. In other words, it isn’t just our mindset about marketing that needs to shift (goodbye billboards, TV commercials and print ads), our fundamental understanding of the structures and systems that govern organizations need shifting as well.